In September 1940, over 3000 central European Jewish refugees boarded three cargo ships from the Romanian port of Tulcea, seeking refuge in the British mandate Palestine. The British authorities denied entry to the refugees because they did not have entry permits, and ordered their deportation to Britain's Indian Ocean colony of Mauritius. Some of the detainees were allowed to remain in Palestine after the ship to which they had been transferred, the Patria, sank in Haifa harbour with the loss of over 200 lives. However, approximately 1600 refugees were deported to Mauritius on December 9, 1940. 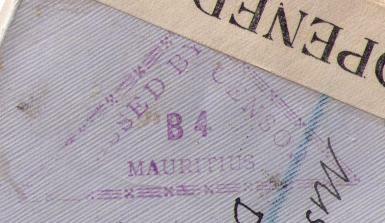 The refugees were housed in a detainee camp at Beau Bassin, Mauritius, for the remainder of the war. Most of the surviving refugees chose to settle in Palestine after the war. 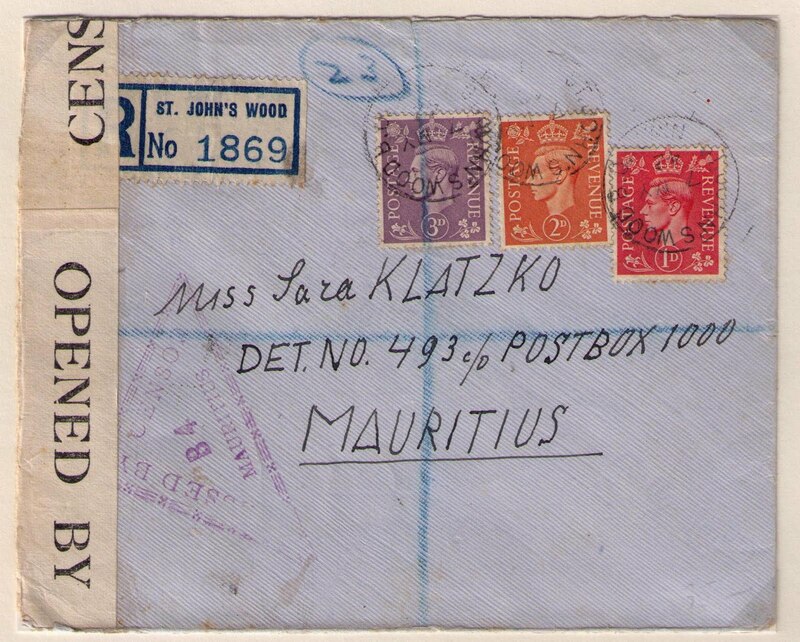 Mail for detainees was to the undercover address Box 1000, Mauritius. Is this item for sale?